We all know the popular “Karate Kid” crooner, Jaden Smith who is one of the famous teenager celebrity in the world and also a star-rapper that featured in Justin Bieber’s hit single, “Never Say Never”, has been reported according to her momma, Jada Pinkett Smith That he, Jaden Smith and her sister, Will Smith has moved out of the house. 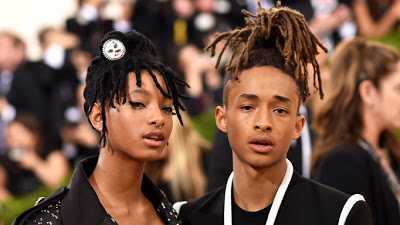 Jada Smith said during an interview with Haute Living that her 16-years old daughter, Willow Smith and her brother, Jaden Smith have moved out of the family house. It seems the kids are matured enough to take good care of themselves. Yes, they are… Been exposed to the world as celebrities for years ago has really taught them a way of living independent life. They are financially and materially alright to go on with their life. Congratulations to them. They deserves to be celebrated.